The December 7, 2015 political agreement signed by the representatives of the General National Congress in Tripoli (Western Libya) and the House of Representatives in Tobruk (Eastern Libya), along with the cast of other ad hoc political figures and political party representatives, spearheaded by then-UN envoy Bernardino Leon, came to life with much ordeal and international praise. The reached accord, after years of negotiating back and forth, established a nine-member Presidential Council (PC) headed by a little known and colorless member of the House of Representatives, Mr. Fayez Al Sarraj. All nine Presidential Council members, including Al Sarraj, were named and directly appointed by Leon, albeit after some consultation with political groups. This action was seen in Libya as "imposed," favoring the Muslim Brotherhood, and soon led to the withdrawal of two Presidential Council members representing the eastern region (Barqa). The reached political agreement also called for the House of Representatives to continue as the sole legislative body, while another consultative body called "The Higher National Council" (HNC) was to be formed mainly from the representatives of the General National Congress that continued to operate even after a new House of Representatives was duly elected by popular vote in 2014. An ad hoc group of General National Council members met in Tripoli in August, declaring themselves the new Higher National Council, electing Abdurahman Swehli, from the powerful city of Misrata, as its president. He had also been elected as a member of the House of Representatives but never reported. 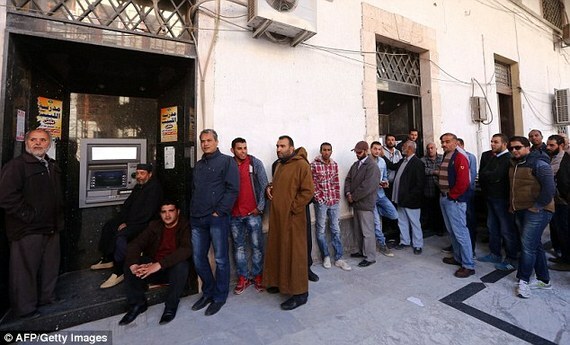 The agreement was widely criticized in Libya, and was seen by many as an attempt to bribe the main factions (General National Congress and the House of Representatives) by continuing their huge salaries and benefits, a very sensitive issue among ordinary Libyans who often stand in lines for hours in front of banks to withdraw their salaries or savings, trying to meet their daily needs. Others who joined the political dialogue received positions in the Presidential Guard and high positions within the Government of National Accord to be formed by the Presidential Council, where Al-Sarraj serves in double capacity, both as a head of the NOC and the Government. Since the political accord was signed, this government was rejected twice by the House of Representatives, yet it continues to operate from Tripoli under self-granted authority but with the blessing of the UN and Western powers. A formal approval from the House of Representatives looks unlikely after a second round of voting by the House. 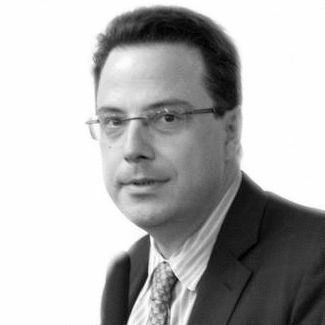 Libyans' lack of confidence in the UN brokered political accord grew even stronger after Aref Ali Nayed, Libyan Ambassador to the United Arab Emirates who just yesterday tendered his resignation, allegedly influenced the accord by arranging for UN representative Leon a lucrative $40,000-plus monthly pay within a UAE institution after his UN mandate was over. The bottom line: with all good intentions and efforts, the brokered agreement cannot work as it stands now. The accord failed to include real forces on the ground, and allowed for two months to remove militias from Tripoli and establish an independent Presidential Guard, something that did not happen. Also, an important sticky point is Article 8, which gives the Presidential Council full authority to make major appointments, including the general commander of the armed forces. The target was General Haftar, who led the fight against ISIS and its affiliates in Benghazi and is fighting militia leaders in the Western region of Libya. The Eastern region vehemently opposes this Article and wants to have it removed. The Presidential Council had to operate from neighboring Tunisia for several months, due to a lack of security in Tripoli. Finally, it dared to enter Tripoli by sea last March, allegedly on an Italian frigate, occupying a naval base east of Tripoli where it languishes to this day, more than six months later, unable to take control over government offices. Rather than forming a National Guard (as the accord called for), the Presidential Council started and continues to be under the protection and control of militias, mainly from Misrata, who had taken over Tripoli in an infamous attack during August 2014, destroying the international airport and most of its airplanes. That is not to say that all militias from Misrata supported the Presidential Council. There is a split even within the city's leaders and its militias regarding the issue. The Presidential Council, initially welcomed by most Libyans, seen as the unifying force for the country with two parliaments and two governments, and enjoyed full international support and backing, has been a dismal failure. Yet its government, not yet confirmed by the House of Representatives, continues to operate under an assumed mandate, adding a third government to the mix and a new layer of bureaucracy and expenses to the seriously strained financial situation in Libya. Two of these three governments are in Tripoli. This creates more confusion to the administrative offices, whose orders are expected to be followed. By all accounts, the Presidential Council and the Government of National Accord failed to provide solutions to the mounting problems in Libya, and their credibility has deteriorated sharply with ordinary Libyans. As this article is published, there is another serious military standoff in Tripoli between Al-Sarraj's Government of National Accord and Khalifa Al-Ghawil, former prime minister and head of the Government of National Salvation. General Haftar - Possible Fixer of Libya? 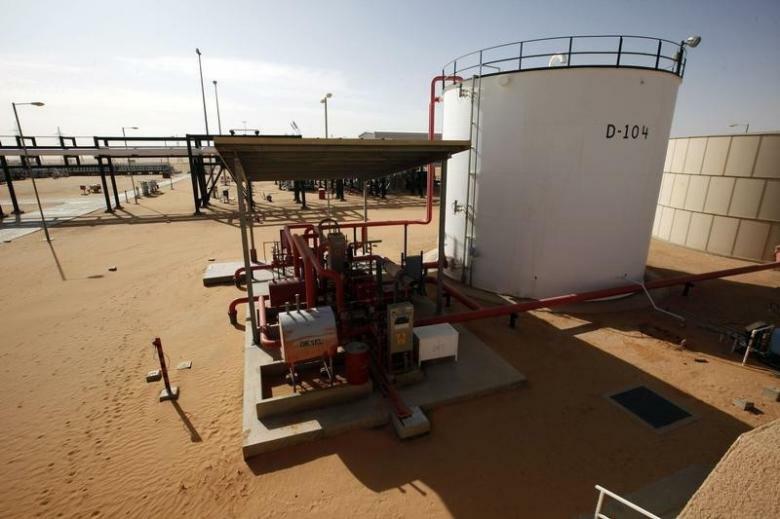 Last month, the forces of General Haftar, leader of the "National Army," swept quickly through the oil region in central Libya, forcing out the so-called "Oil Facilities Guards," gangs that have shut down oil terminals for two and a half years. The shutdown deprived the Libyan treasury of an estimated 100 billion dollars of much needed revenue, in a country where oil revenue represents 95 percent of the country's income. The central region produces over 70 percent of Libya's oil from Al-Mabruk, Al-Bahi, Al-Waha, Intisar, Amal Abu Altifl and other oil fields. While Libyans hailed the expulsion of the gangs guarding the oil facilities (who seemed to have cut a lucrative deal with the Presidential Council in exchange for their backing), the U.S. and its Western allies inexplicably condemned it and ordered the forces of General Haftar to leave immediately without any conditions. However, General Haftar aptly turned over control of the oil fields to the (now united) National Oil Company, thus preempting Western powers to interfere. Revenues from oil exports will now go to the Libyan Foreign Bank, as they did before, and from there to the Central Bank. General Haftar led a brutal two-year fight in Benghazi against Ansar Al-Sharia, a group the United States declared to be a terrorist organization and blamed for the assassination of the former U.S. ambassador in 2012. The group was forced out of Benghazi, except for a few pockets. As a result, he has solid support in the eastern region of Libya, the former State of Baqa in the period when Libya was under the federal system after its independence in 1951. He also has considerable and growing support in many cities in the west. Many Libyans believe that General Haftar, with support from Egypt and UAE, will soon move to the western region of the country to unify it under his military control. To many in Libya this is a suitable scenario, after five years of suffering, a lack of security and the arbitrary and often violent rule of over hundreds of militias since the fall of the Gaddafi regime. However, General Haftar would have to face a strong and well-armed militia forces from Misrata along with the other strong militias in Tripoli, mainly under leaders such as Haitham Altajuri, Ghenew ِAlkikkli, Salah Badi, Mustafa Kara and others. These leaders emerged as the strongest and best funded in the greater Tripoli area. Altajuri, for instance, was responsible for the kidnapping of the former Prime Minister Ali Zaidan. Alkikkli commands a powerful militia in control of a heavily populated section of Tripoli called Abu Sleim. The Muslim Brotherhood, Al-Qaeda offshoots, and ISIS supporters in the West would also oppose General Haftar, who they declared to be their archenemy. 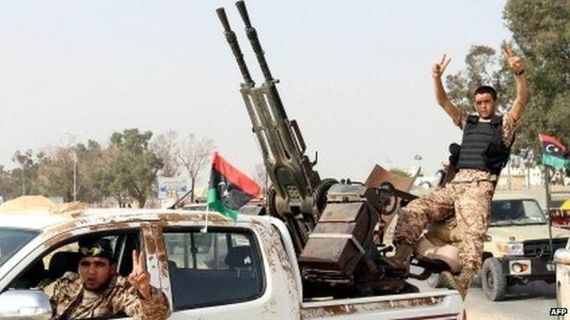 The freeing of oil terminals and the near-complete defeat of ISIS in the central coastal city of Sirte is the only bright news in Libya in nearly three years. The fight against ISIS was mainly carried out by forces from Misrata, at a heavy cost in life and serious injuries. U.S. warplanes provided support by bombing some targets in the city. With over 600 deaths and more than 2,000 seriously injured, the still ongoing battle of Sirte left Misrata with no remaining appetite to challenge General Haftar's forces' move into the oil region they previously overtook. Non-Governmental Talks in Geneva - A Possible New Reconciliation Platform? It is clear that the UN accord has not united Libya, but has rather reached a dead end. Perhaps the high level and inclusive dialogue with all relevant forces and tribes in Libya could offer possible solutions. Such efforts were held in Geneva, Switzerland, on October 7 and 8, organized by the Center for Humanitarian Dialogue. The dialogue included most factions on the Libyan political scene in an amiable atmosphere, although with modest results. The participants agreed that the format and sponsorship by the neutral organization was a positive way forward and a platform to build on, enlarging the dialogue to include more influential forces on the ground. The model of 1951 is a goal to strive for. During the period that led to the independence of Libya in 1961, opposing factions from eastern and western regions in Libya overcame their differences and agreed to form a united country under a federal kingdom with three states (the third from the southwest). The federal system was abolished in 1963 and a united Libya emerged. The U.S. has largely stayed out of the Libyan fray, leaving the task to its divided European allies, each pursuing their own interests and adding to the divisions in Libya rather than providing solutions. This is also true for the regional powers, pouring arms and money to support different factions. Egypt and the UAE support General Haftar while Turkey and Qatar support Misrata and the Muslim Brotherhood. The new U.S. administration will have to engage more actively and lead efforts in Libya, through serious and forceful leadership to unite its European allies, exercise pressure on regional countries and warring factions within Libya into concessions for a more meaningful accord. A final agreement needs to pass the acceptance benchmark of everyone, and bring peace to Libyans and stability for the Mediterranean Basin and beyond.